Campus:The university is located 3 kilometers off National Highway 22 (20 km away from Shimla) (from Waknaghat) which runs from Kalka to Shimla (India). The university campus is spread over 25 acres (100,000 m2) of the green picaresque slopes of Watchmaking. The town of Kasauli can be seen from the university on one side, far on the hill.Though the university campus is situated off the National Highway and can be reached by available at University Gate and Waknaghat. The nearest railway station is Kaithleeghat, 4 kilometers from Waknaghat and the nearest airport Shimla. Regular bus service is available to Chandigarh, Delhi and most major stations of Himachal Pradesh and Punjab at Shimla and Solan bus stations. The center has wide collection of latest books and journals (international and national) in ICT related areas. It has subscription to various national and international journals in prints besides a larger number of e-journals through INDEST Consortia of Indian Institute of Technology, Delhi for Subscription of Digital library of International Journals of IEEE/IEE, Springer, ACM, ASCE, Emrald Management Xtra available to the students all over the campus. LRC is an active member of Developing Library Network (DELNET) for resource sharing and inter library loans of national and international database for its member libraries and IndiaSTAT Databases for statistical information. The LRC remains open to students for 15 hrs daily , in addition to holidays and Sundays. LRC has the latest books, journals and CD-ROMS on bio informatics, biotechnology, computer science, information and communication technology, electronics and communication engineering, management, humanities and social sciences. Sanrachna Night was held on 29 Jan 2010 by the CEC where the first annual civil engineering technical magazine by Civil Engineering Consortium was launched. The Official Festival of JUIT: lis a three-day event organized by JYC-JUIT Youth Club, held in March or April. In 2011, it was 8–10 April and called “Le Fiestus 2011” with the theme “Vasudhaiva Kutumbakam”(World is one Family) The celebrities during the night events were DJG Kilogram (featuring singer Girish Kilogram),Bodhi Satavas , Vishal-Shekhar(Vishal Dadlani and Shekhar Ravjiani) and actress Shruti Pathak.The fest started with a bang with the colourful cultural night showcasing the dance talents of JUITians.Faculty members preformed with special sequences. Group performances ranged from hip hop to Rajasthani folk dances. On the second night there was performance from Bodhi Sattvas and DJG Kilogram performed and made everyone dance to their rock music.The third night featured a performance by Vishal-Shekhar and Shruti Pathak. It was a level above every other event at the fest and made the crowd swaying and swinging to his melodious numbers. Hello m Nipul from Guwahati, Assam. I want to study B. 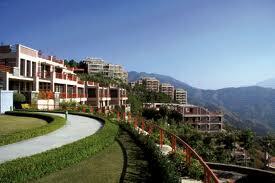 Tech in Biotechnology in Jaypee Institute, Solan, Himachal Pradesh in next year, i.e; in 2013. I got 69.2% in HS and in PCB i have 64%. So i want to know details about the course duration, fee structure, and other relevant information about btech in biotechnology in your institution. Please mail me as soon as possible in details. sir i am a pcb student can i take admisaio. in btech biotech in your university ? 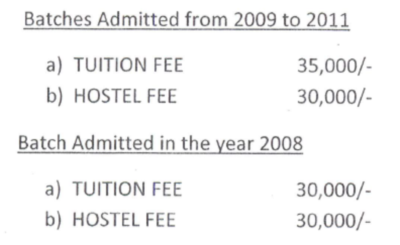 i dont have maths as my subject if yes then what is its fee structure and hostel fee. sir im shubham rana sir i got 56% in pcm .sir kya mjy mechanical engineering mey admmission mil skti hai. sir meny pichli bar iitjee ka test dia tha is baer nhi dia …to mujy admisin mil skti hai. please send the information regarding admission. Hello.. Sir I m sartaj Saif from Bihar I want to addimissiom for b . tech.